More than 15 years manufacturing motorcycle clothing and accessories for motorcyclists textile !!! Goyamoto is a company founded in 2000 that is dedicated to the manufacture and sale of motorcycle clothing and accessories for motorcyclists, motorcycle gear, accessories and everything related to the sector of the bike. The relation between price and quality is as important to Goyamoto that it has been included in the logo of the company's slogan "The best price and quality motorcycle clothing and accessories. Factory prices because we are manufacturers. " 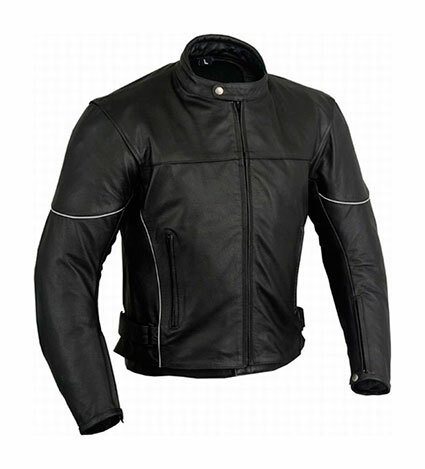 PRICE: The best market price in motorcycle clothing and accessories. QUALITY: Our clothes are made with leather and other materials of excellent quality. Special mention have our textile, finishes and designs. SERVICE: We offer all kinds of sizes for men and women, and can customize any element. SHOPPING: We have stores in major provinces of Spain and we are continuously expanding both nationally and internationally. ONLINE: We distribute throughout Spain with shipments included and the rest of the world ensuring the same quality and price in our stores. I + D + I: GOYAMOTO is constantly conducting market research to identify new needs and preferences to incorporate them into our products.